Wishing you a day filled with sunshine (and sunflowers)! Beautiful! Do you happen to remember around where this photo was taken? 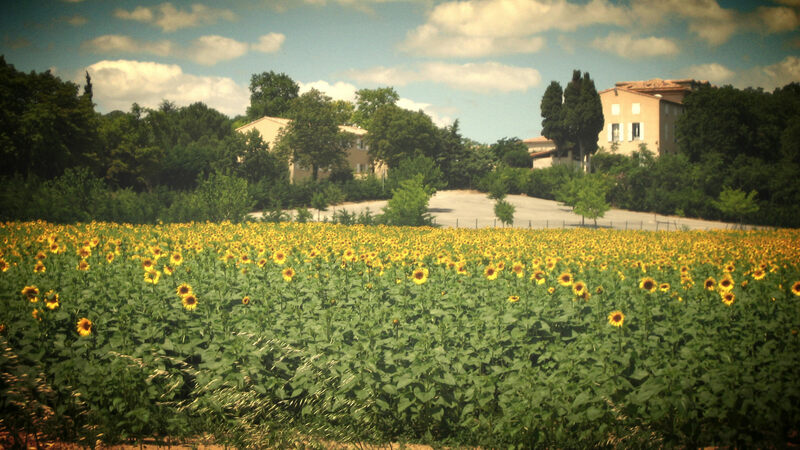 We were staying at a chateau in the middle of nowhere–the nearest town was Mirepoix–and driving down to the Mediterranean, a town called argeles-sur-mere. So somewhere around there!